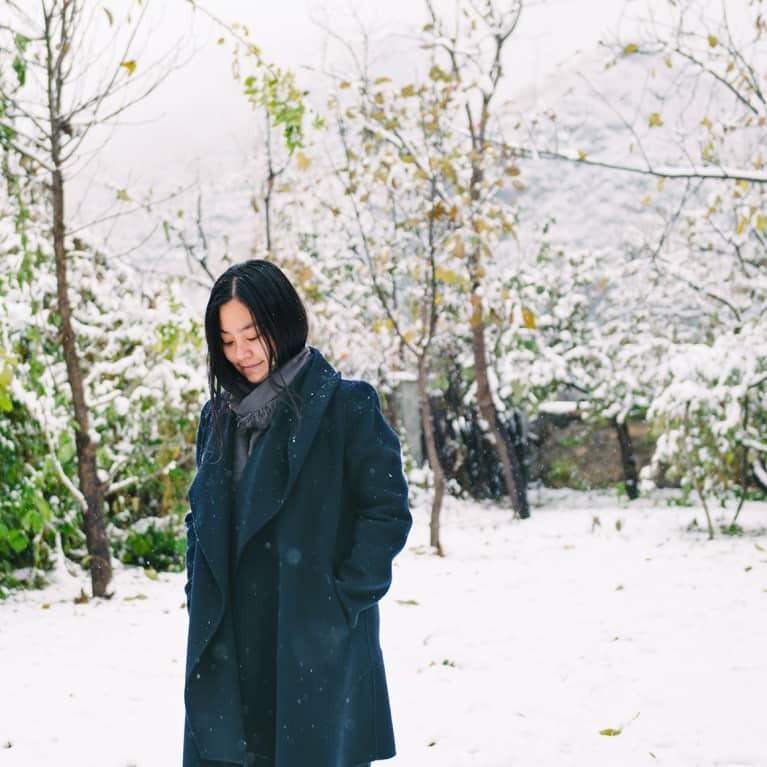 If you’re feeling enveloped by a case of the winter doldrums, olfaction might be your way out. “Olfaction has a way of being able to pull you out of the blues like no other sense,” said Leigh Winters, an aromatherapist in training and essential oil expert. “Citrus aromas, like lemon, lime, mandarin, and grapefruit, are sunshine in a bottle,” said Winters. “Clinically, they have the most robust effects on alleviating depression.” Some studies show that essential oils do indeed have the power to help alleviate anxiety and depression when used correctly. “Many skin care lines, Tata Harper in particular, are renowned for tapping into the peaceful and joyous association we have with monoterpenes, which comprise the majority of all citrus aromatic compounds,” Winters said. 1. Take 10 to shower or bathe. Choose a soap that you love so much, it gets you excited to get out of bed. If you’re thinking this is lame or unachievable, perhaps you haven’t seen any truly great soaps before. Try Osmia Organics’ citrus pearl, one that’s as beautiful to the eye as it is to the nose. But almost any naturally made, citrus-smelling soap will do—just be sure they don’t contain harsh detergents that will strip your skin of its natural oils. If you can’t wait a few days for a quick pick-me-up, head to the grocery store or your nearest Target and grab Dr. Bronner’s citrus pure liquid Castile soap. 2. Get yourself some smelling salts. If you’re at your desk, get yourself some smelling salts—these “awaken” salts are a cult favorite among beauty editors and always sell out. “The lemon is brightening and invigorating, the rosemary invokes clarity, and the sage clears away the blues,” said Josh Beeler, founder of VOLAR, maker of the aforementioned smelling salts. If you’ve never heard of smelling salts, don’t fret—mbg wrote all about why the historic remedy for feeling faint or down is making a new, natural comeback. Myth: Candles are for writing by candlelight, getting ready for bed, or romantic dinners. The morning candle burn is so underrated! If you love candles and the idea of burning one while you get ready jazzes you, or even lighting one in the bathroom while you’re showering, go for it! Look for candles that are made with clean-burning wicks and wax that’s free of petrolatum, if possible. 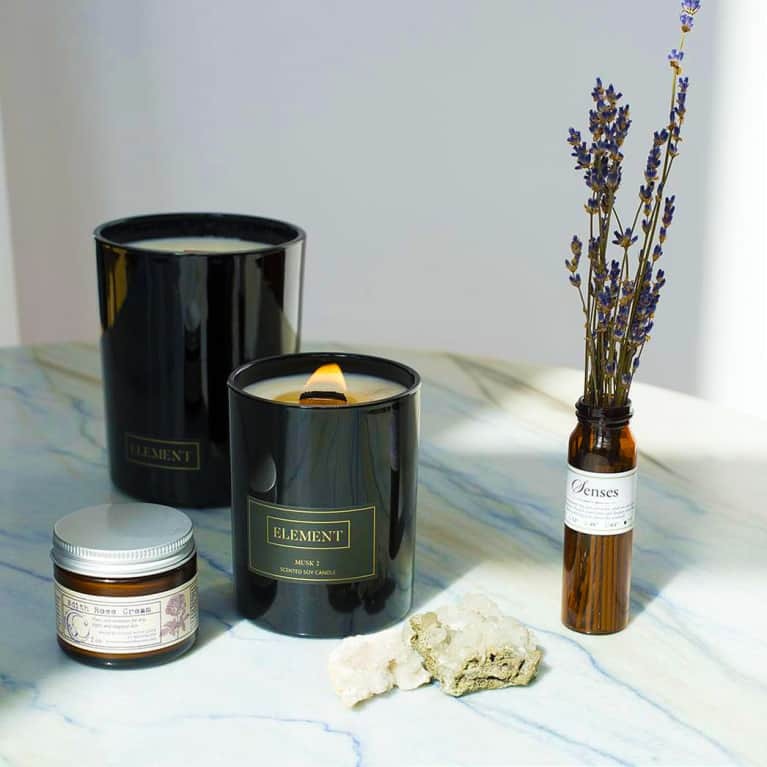 Element Candles’ Wood 3and Ellis Brooklyn’s Verb are two earthy but bright scents that still feel authentic to winter but embody the brightness of warmer days to come. Even if you’re a coffee drinker, add a few cups of tea to your routine. Tea is known to be calming, can help reduce anxiety, and help keep you hydrated—which is very important for the health of your skin in the wintertime. Republic of Tea’s green tea and lemon contains a little caffeine if you drink it. If not, super-nourishing milk thistle tea boasts notes of orange and grapefruit, hitting that “hygge” spot that falls squarely between cozy and refreshing. 5. Rub essential oil on your feet. Our aching, tired feet—we don’t show them enough love. A self-massage on the feet with essential oil blends can go a long way at the end of the day (or if you’re feeling it, at the start!). The skin on the bottoms of the feet is pretty thick, so absorption is actually quite slow, but combined with coconut oil or another emollient carrier oil, this act of self-love can go a long way. Starting with clean feet, set a timer for five minutes, it doesn’t take longer than that! Take your coconut oil and add 1 to 2 drops of a citrus essential oil of your choice, as well as a soothing peppermint oil. Massage each foot for about 2 minutes, taking great care. You’ll be surprised by how relieved your tootsies feel when time’s up!